This is the first major interpretation of the framing of the Constitution to appear in more than two decades. Forrest McDonald, widely considered one of the foremost historians of the Constitution and of the early national period, reconstructs the intellectual world of the Founding Fathers—including their understanding of law, history political philosophy, and political economy, and their firsthand experience in public affairs—and then analyzes their behavior in the Constitutional Convention of 1787 in light of that world. No one has attempted to do so on such a scale before. McDonald's principal conclusion is that, though the Framers brought a variety of ideological and philosophical positions to bear upon their task of building a "new order of the ages," they were guided primarily by their own experience, their wisdom, and their common sense. 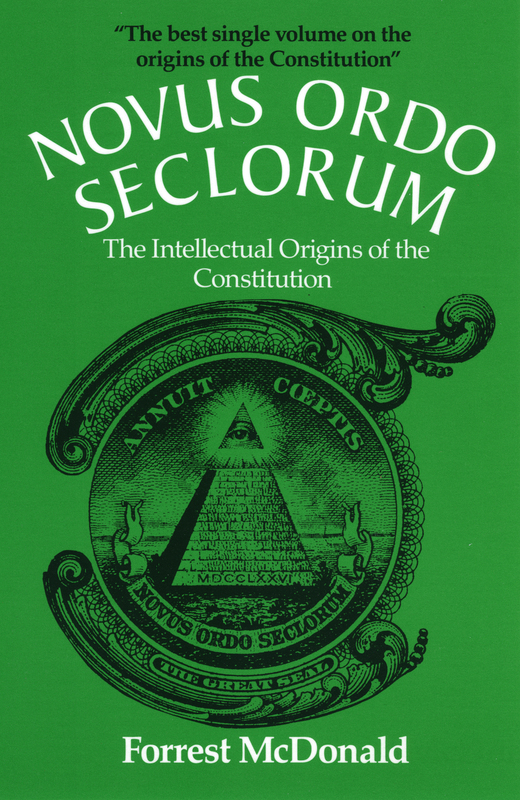 Forrest McDonald was Distinguished Research Professor of History at the University of Alabama and author of sixteen books, including Pulitzer Prize finalist Novus Ordo Seclorum: The Intellectual Origins of the Constitution and The American Presidency. He was named by the NEH as the sixteenth Jefferson Lecturer, the nation’s highest honor in the humanities. Click here to view more books by Forrest McDonald.